A hot, steamy evening didn’t dampen the spirits of those attending the Calvert City AmeriBration Parade and Fireworks Display Wednesday. 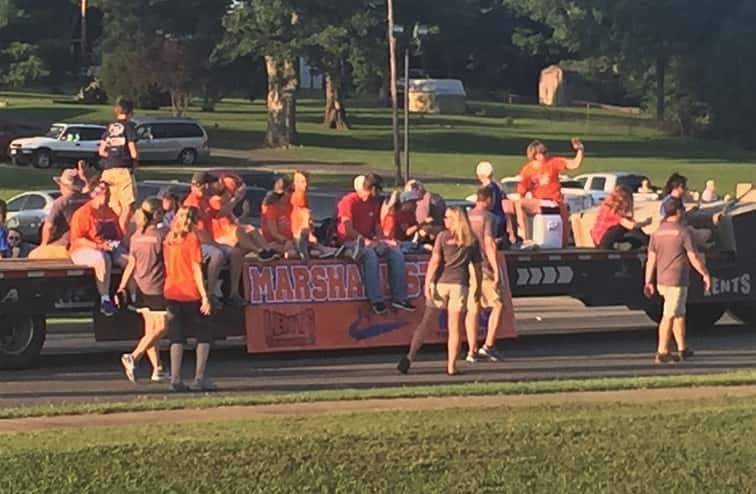 In a break with the traditional individual grand marshal of the parade, this year the Marshall County High School faculty, students, support staff and central office personnel were selected as Grand Marshals. The theme of this year’s parade was “Rock’n in the USA”. 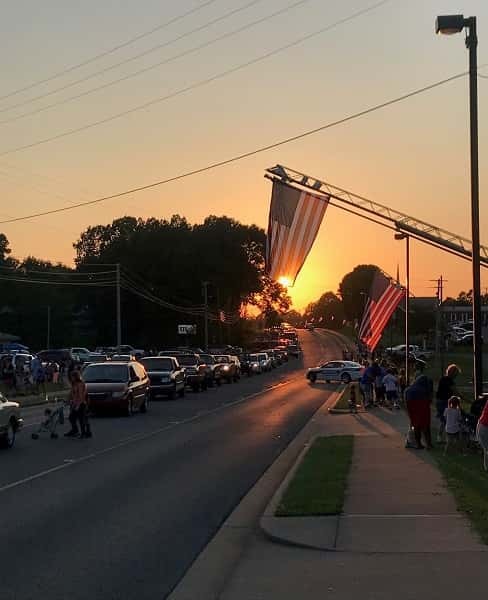 Missy Stokes of Calvert City, captured a beautiful photo down main street as the parade wrapped up.